When Diana Henry was sixteen she started a menu notebook (an exercise book carefully covered in wrapping paper) in which she wrote up the meals she wanted to cook. She kept this book for years. Putting a menu together is still her favourite part of cooking. Menus aren’t just groups of dishes that have to work on a practical level (meals that cooks can manage), they also have to work as a succession of flavours. But what is perhaps most special about them is the way they can create very different moods – menus can take you places, from an afternoon at the seaside in Brittany to a sultry evening eating mezze in Istanbul. They are a way of visiting places you’ve never seen, revisiting places you love and celebrating particular seasons. 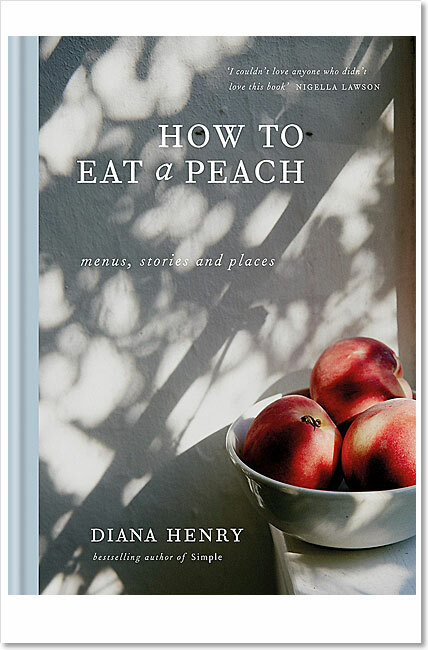 How to eat a peach contains many of Diana’s favourite dishes in menus that will take you through the year and to different parts of the world. 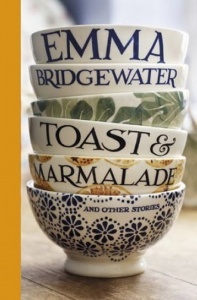 A new Diana Henry book is an occasion… Henry has perfect pitch when it comes to cooking – her recipes are never less than delicious. This is an extraordinary piece of food writing, pitch perfect in every way. I couldn’t love anyone who didn’t love this book.